Yarn Type SALE 20% OFF! A brightly coloured chenille yarn perfect for babies, tots and older children alike. It comes in a range of shades including pastel baby shades, bright pinks and purples and white and beige. Each of the Snuggly Tutti Frutti shades has colourful neps running through it that creates a fun, cosy look. 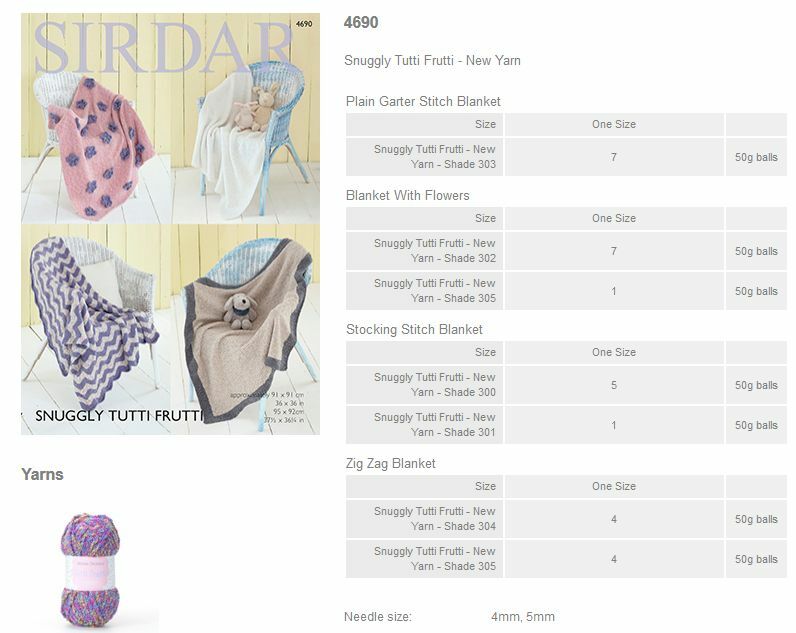 Snuggly Tutti Frutti is machine washable on a wool cycle. 80% Polyester, 20% Rayon. Leaflet with designs for Blankets using Snuggly Tutti Frutti. 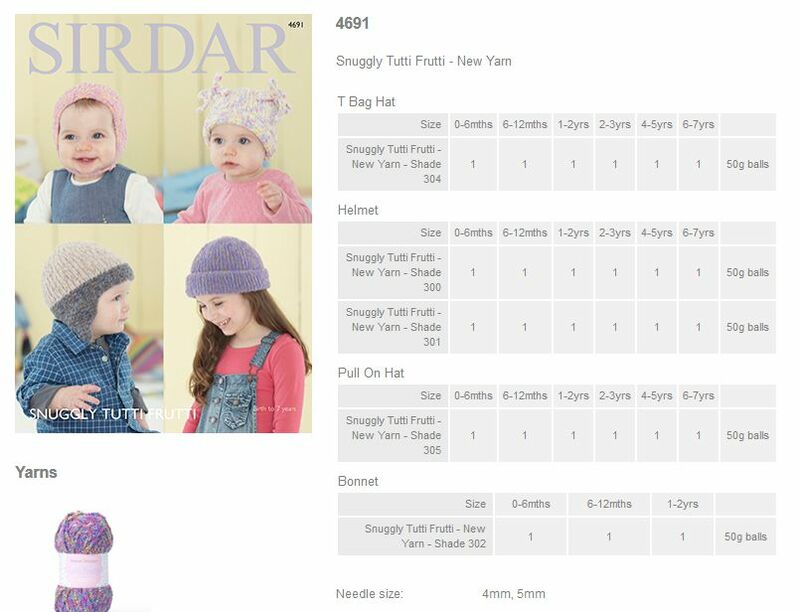 Leaflet with designs for a T Bag Hat, Helmet, Pull on Hat and Bonnet using Snuggly Tutti Frutti. 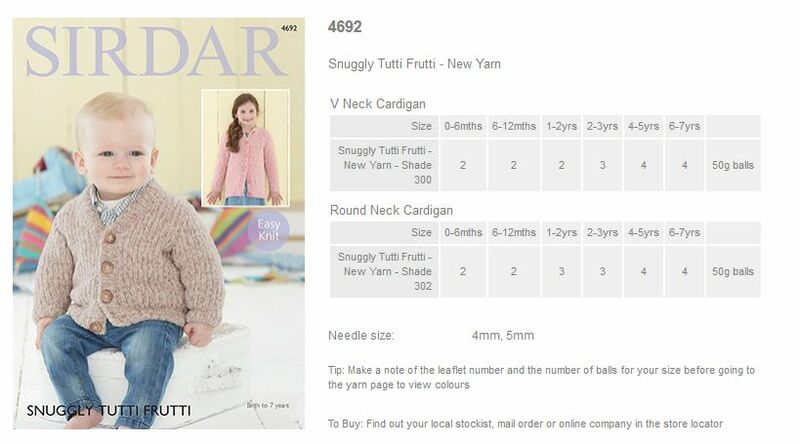 Leaflet with designs for a V Neck Cardigan and Round Neck Cardigan using Snuggly Tutti Frutti. 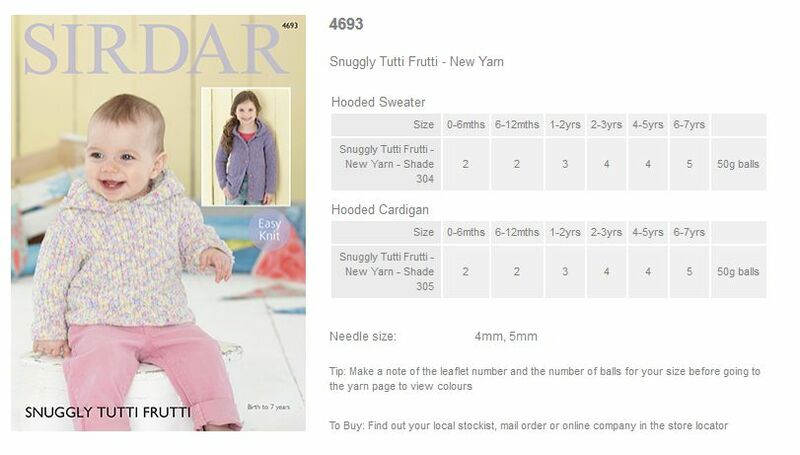 Leaflet with designs for a Hooded Sweater and Hooded Cardigan using Snuggly Tutti Frutti. 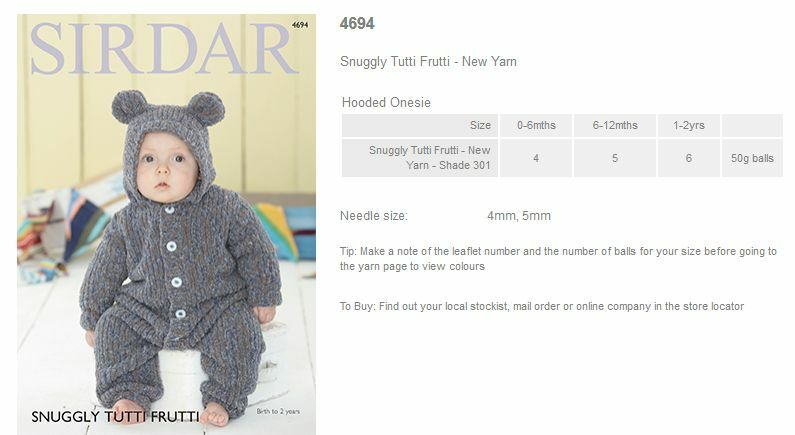 Leaflet with designs for a Hooded Onesie using Snuggly Tutti Frutti.